High Quality Content by WIKIPEDIA articles! 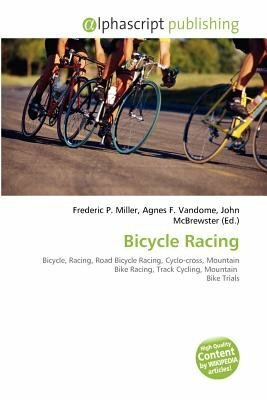 Bicycle racing is a sport encompassing many forms in which bicycles are used for competition. This racing includes road bicycle racing, cyclo-cross, mountain bike racing, track cycling, BMX, bike trials, and cycle speedway. The first bicycle race is popularly held to have been a 1,200 metre race on the 31 May 1868 at the Parc de Saint-Cloud, Paris. It was won by expatriate Englishman James Moore who rode a wooden bicycle with iron tires. The machine is now on display at the museum in Ely, Cambridgeshire, England.